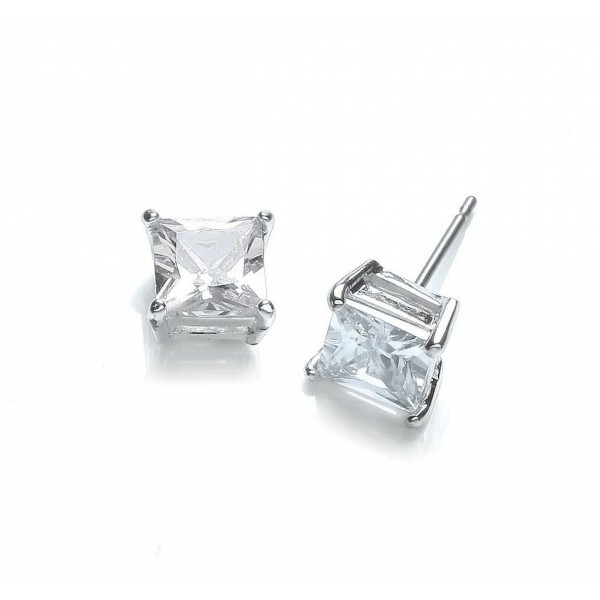 These earrings are a must have for any jewellery wardrobe. Plated in 925 sterling silver, the princess-cut cubic zirconias (6mm) are sympathetically set with 4 claws to give that fine jewellery look. They feature a post and butterfly fastener and so are suitable for pierced ears only.